Many people have asked us to create a directory of useful resources that you can tap into & use at any time, so in response to the requests we're going to start sharing (& consistently add to) a range of resources which we know can make a positive difference to your life! Please feel free to share the goodness & pass on the love! WORK SMARTER NOT HARDER - GET AN APPRENTICE! www.DigitalMarketingApprentices.com - an absolutely brilliant new resource. 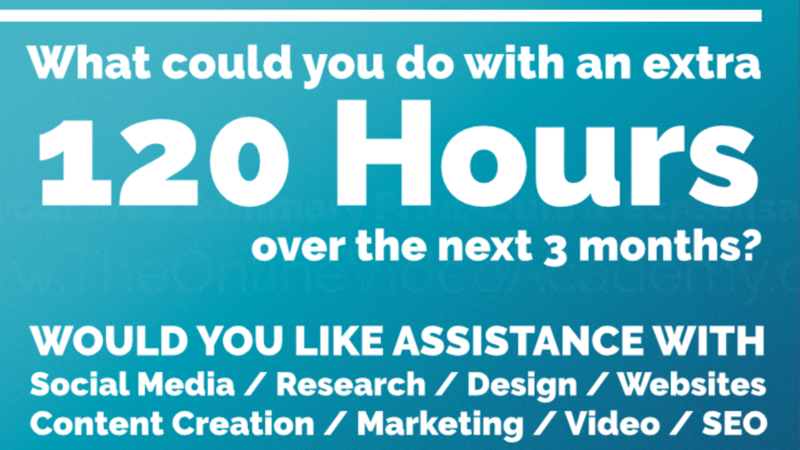 For approx £120 you get 120 hours of assistance (10 hours a week for 12 weeks) from aspiring digital marketers who want real life business experience. And you can take on as many apprentices as you want or need! Would you like to gain an extra 120 hours over the next 3 months - what could you do in that time? Today I just want to share with you a new resource & platform which we’ve just discovered, where you can get a hungry, ambitious & skilled intern to support you for 10 hours a week over 3 months. It's already been raved about and the likes of Harvard University, DropBox, AirBnB, The Internet Business School, The Online Video Academy & 100's of small, medium & larger size businesses are already tapping into the win/win opportunity available. 1. What would / could I do with an additional 120 hours over the next 3 months? 2. Which projects, hobbies, people, activities would / could I nurture? 3. How much quicker could I get things done & achieve what I want to achieve if I could leverage someone else’s time & skill set over 120 hours?